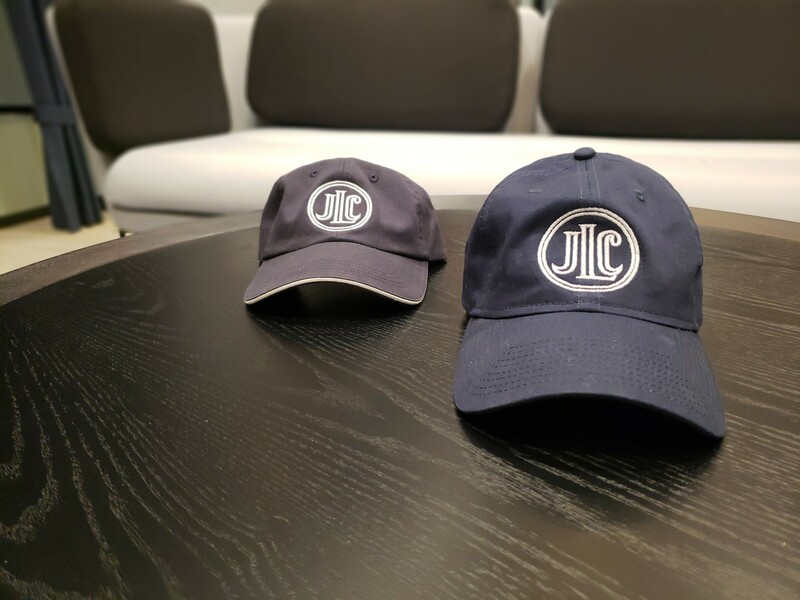 The JLC’s Annual Fund has specially curated Junior League of Chicago apparel and goods to help show-off your JLC pride. By purchasing an item from the Annual Fund, you will directly impact the mission of the JLC and support at-risk women and children in the Chicagoland community. We thank you in advance for your purchase and contribution to the Junior League of Chicago. The Annual Fund Committee will follow up with information on how and when to pickup your purchased items. The below items are available for purchase in limited quantities. Moleskin Notebooks – $25: Purchase here! Navy Hat with white detail(left hat) and Solid Navy Hat (right hat) – $25 each: Purchase here! 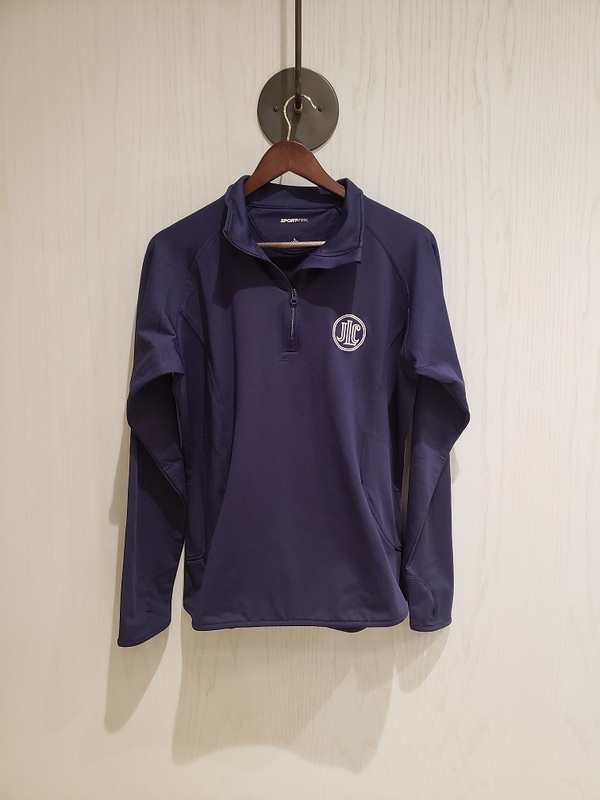 Long Sleeve Zip up – $50: Purchase here! 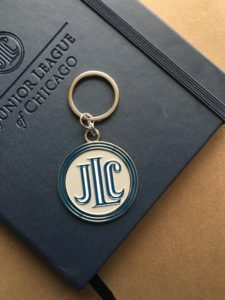 JLC Keychains – $25: Purchase here! The Junior League of Chicago is a proud partner of Amazon and a designated charity of the AmazonSmile program. Shop using the smile.amazon.com link and select the Junior League of Chicago as your designated charity today. Amazon will donate .5% of eligible purchases back to the JLC. Users can also install a plugin on their browser so that they are automatically redirected to smile.amazon.com each time they go the Amazon’s site. Committee Gear: purchases through CafePress are not eligible for Fundraising Points. Shop all your committee gear needs here.